We think it’s safe to say that getting engaged is one of the most exciting times in a girl’s life. You’ve gone through the hard work of finding that one person who you want to spend your life with, and now you’re ready to celebrate. But before he (or she) pops the question, there are some decisions to make! Most importantly, which ring to propose with. And this is no small decision. This small piece of jewelry is something you’ll wear every single day for the rest of your life. And it’s not meant to just be a pretty accessory. 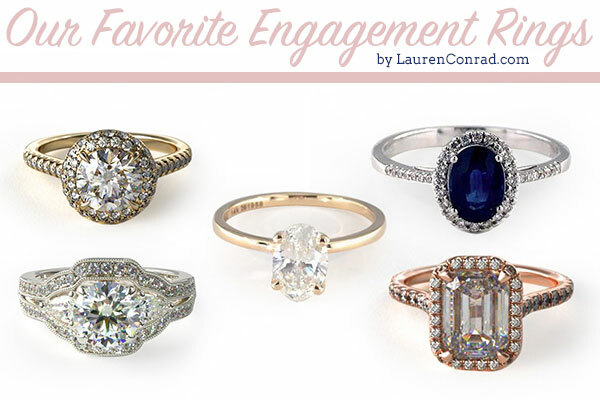 Here at Team LC, our favorite engagement rings have meaning behind them. So, you can probably guess where we’re going with today’s Tuesday Ten. 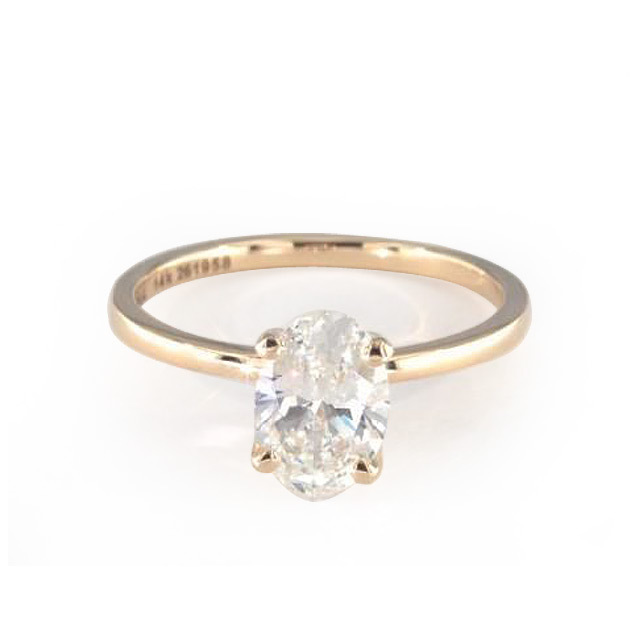 Here at the LC.com HQ, when it comes to engagement rings our go-to is James Allen, so we’ve partnered with them today to bring you Team LC’s 10 favorite engagement rings. For those of you who haven’t heard of James Allen, we’re so excited to tell you all about them! They’re the largest privately-held online retailer of diamonds and engagement rings, with over 60,000 conflict-free diamonds and hundreds of settings. Which means you can design your dream ring with just a few clicks! Just choose the diamond you love, a setting that matches perfectly, and you’re ready to go. 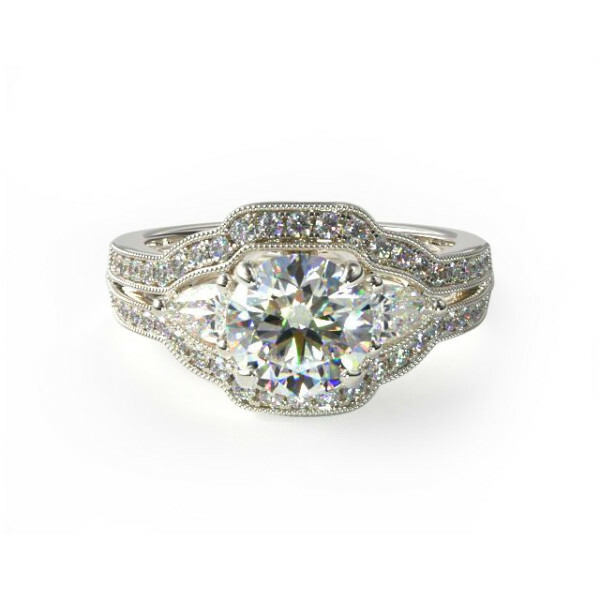 You can see the settings and diamonds in a 360-degree view, so you’ll know exactly what it’s going to look like. What we love most about James Allen (besides how stunning the rings are) is that their products are affordable. Because you’re buying online, you can scoop up the engagement ring of your dreams for 30-50% off prices you’d find in most stores. This stunning oval cut diamond paired with a beautiful gold band reminds us of Lauren’s gorgeous ring. It’s simple, classic, and would be perfect to pair some fun wedding bands with after you tie the knot. The vintage vibes on this three-stone ring are one of a kind. The pave band and setting are unique, oh-so-beautiful and make this ring anything but ordinary. Who could say no to this beauty? 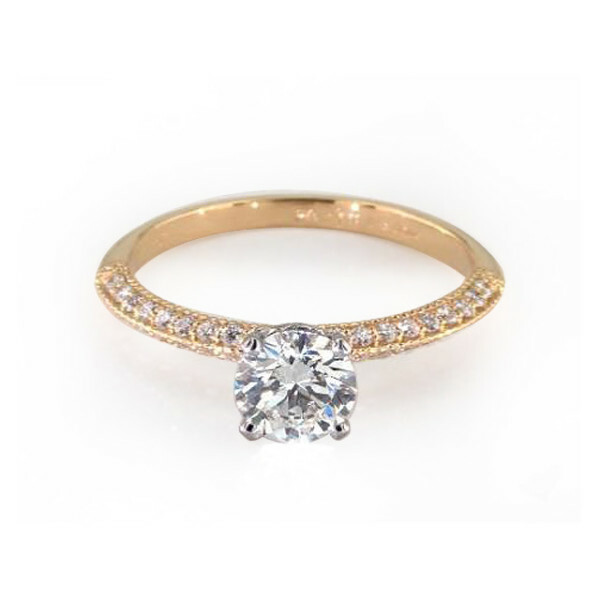 The yellow gold band and setting gives this pave diamond ring a little something extra. So stunning, right? 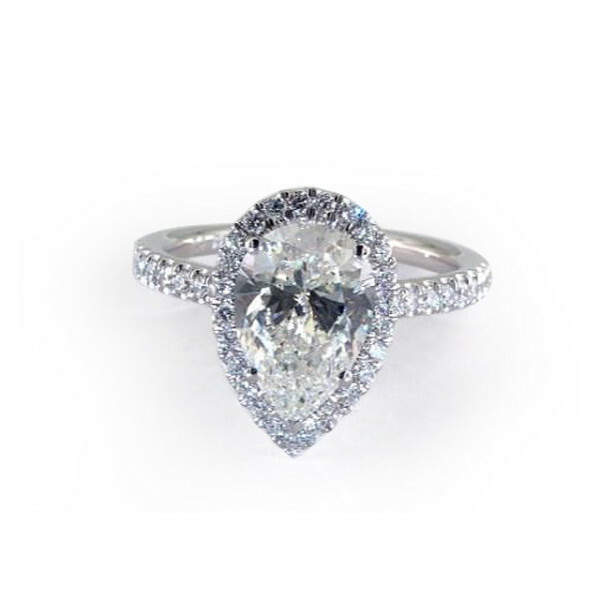 Lately we’ve been loving pear shaped rings, and this is our favorite one from James Allen. The pave band and halo setting add a little extra sparkle to this gorgeous rock, and the white gold gives it a classic, timeless look. Can you tell how much we love a solitaire engagement ring? This one is also reminiscent of Mrs. Tell’s ring, but instead of a round diamond, this one is adorned with an emerald cut rock. 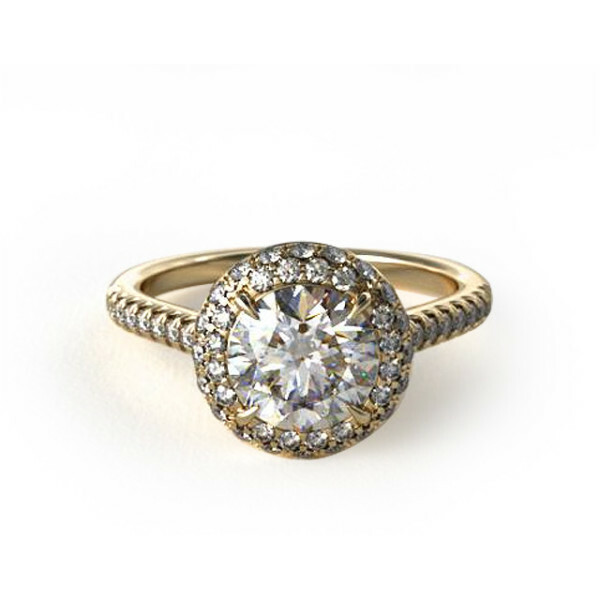 If you’re going for a more understated look, try a sweet vintage inspired ring like this one from James Allen. It’s unique and oh-so-chic, don’t you think? 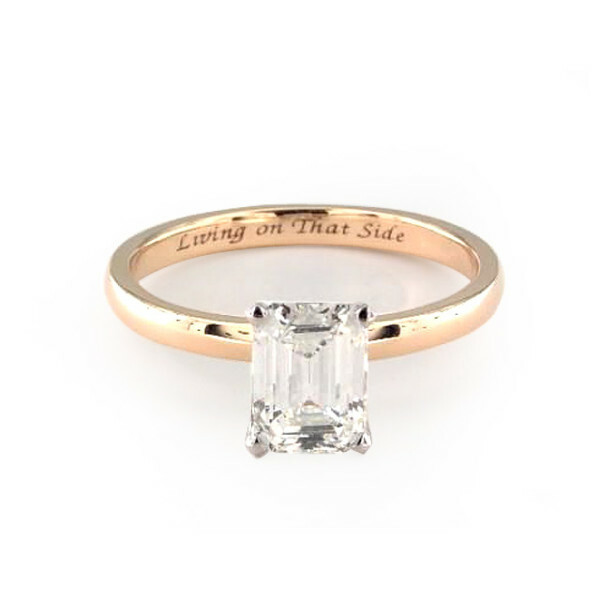 This ring is everything we love, all rolled into one. 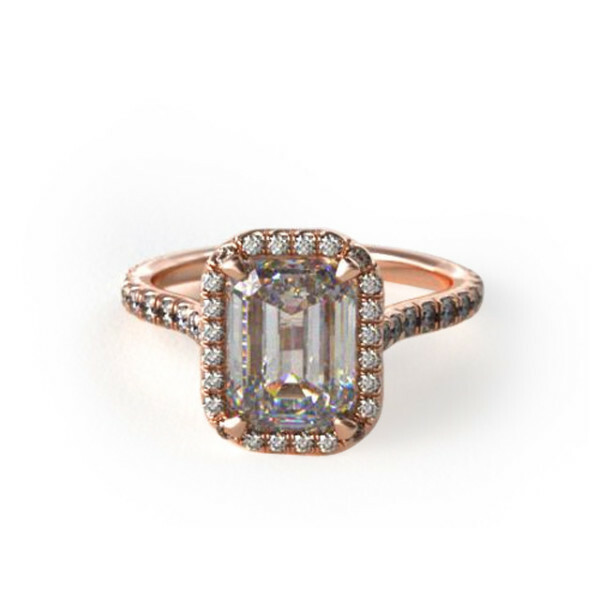 It’s got a gorgeous rose gold setting (which is our editor-in-chief’s favorite), an emerald cut diamond and a pretty halo surrounding it. Doesn’t get much better than that! We love how this pave band is paired with a simple, classic solitaire diamond. 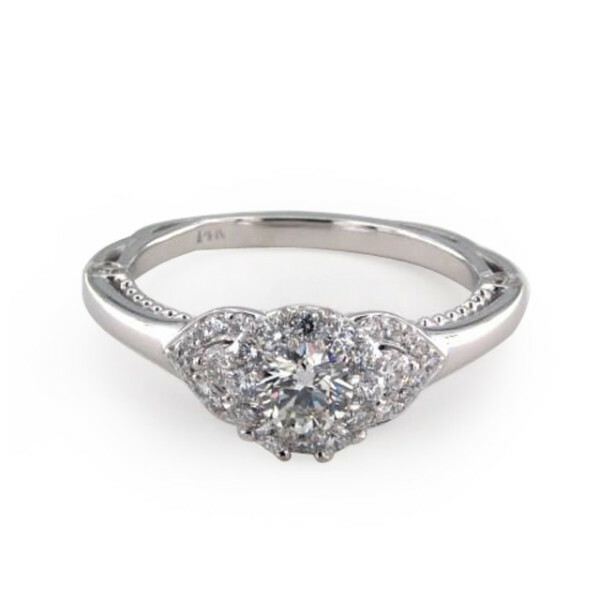 It’s elegant, understated, and will look lovely with a simple pave wedding band. 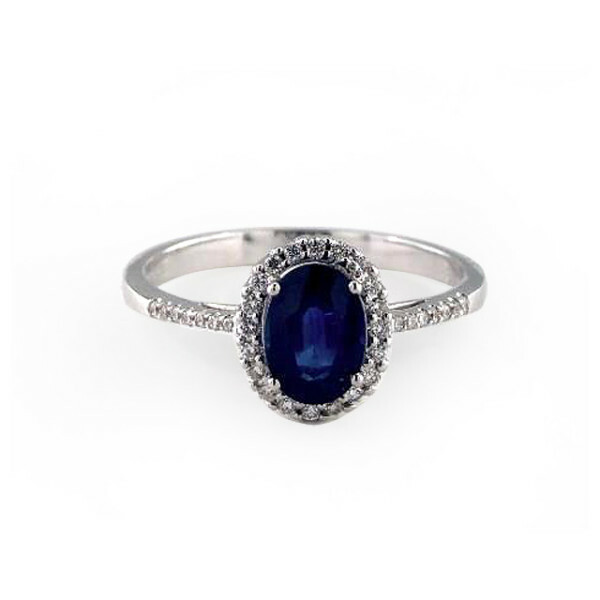 Our editor Ilana has a ring that looks very similar to this one, which all of us here have been lusting after ever since she got engaged. 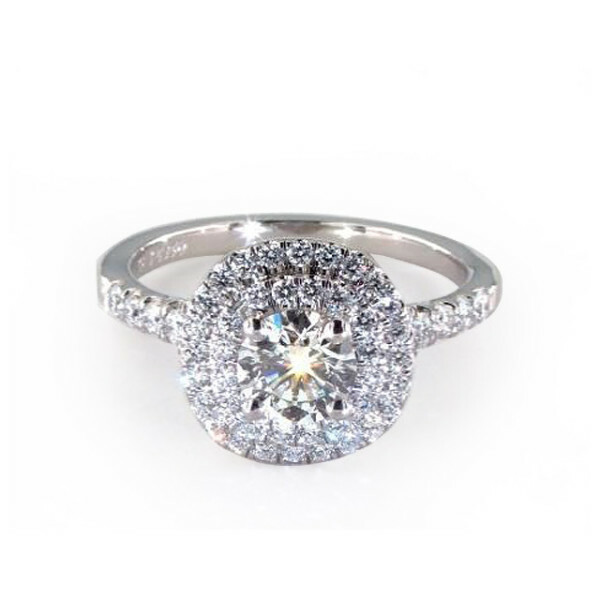 You really can’t go wrong with this white gold halo pave beauty! So what do you think? Did you find your dream ring today?